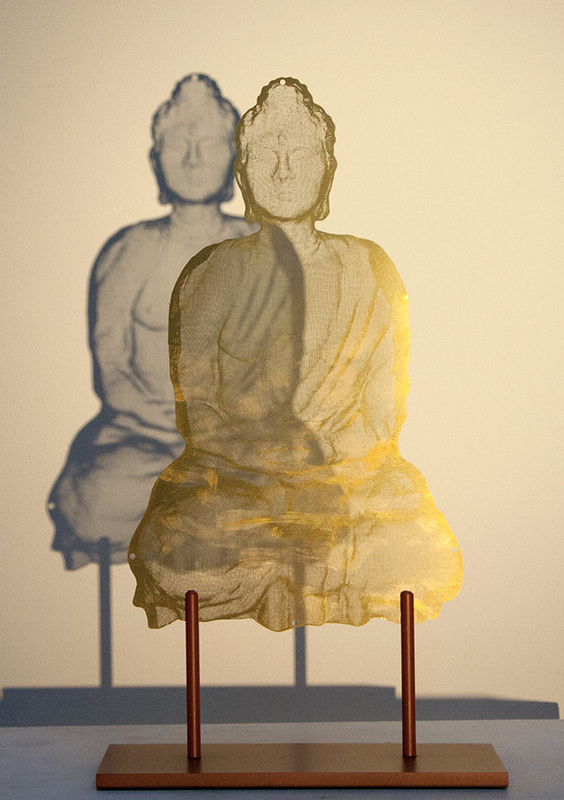 Small Buddha sculpture made of a flat brass panel - semi-transparent. Freestanding on a red-ixid steel base, limited edition, signed and numbered on the back. Size 25 x 15 cm, overall dimensions with base: 32 x 17.5 cm, base depth 8 cm. Each 'ELEMENT' sculpture is an identical element to those originally created for the Buddha Bar brass curtain sculpture 'TRANSCEND'.